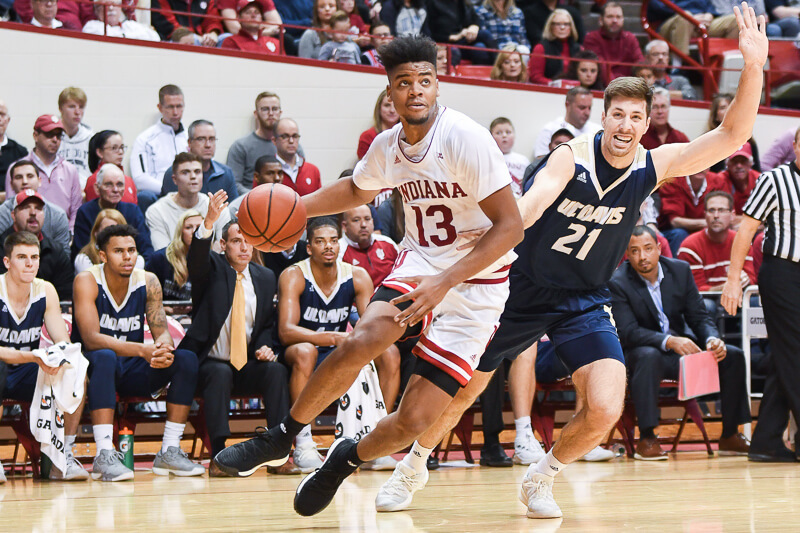 It didn’t come without major resistance from UC Davis, but Indiana improved to 5-1 on Friday night with a 76-62 win over the Aggies at Simon Skjodt Assembly Hall. • Indiana’s defense struggles early, but takes control late: Through a half, it appeared Indiana’s streak of holding opponents under a point per possession would come to an end. UC Davis was comfortable both driving the ball to the baseline for scores and also kicking it out for open 3-pointers. The Aggies scored 1.29 points per possession in the first 20 minutes and it appeared the Hoosiers would have a full 40-minute battle against last season’s Big West regular season champions. But the second half was a different story as Indiana buckled down defensively and UC Davis managed just 24 second half points on 35 possessions (.69 PPP). That improved defensive performance extended Indiana’s streak of holding opponents under a point per possession to six games. Through six games last season, Indiana held just two opponents under a point per possession. • Morgan takes control early and goes all 40 minutes: Indiana continues to play shorthanded with Zach McRoberts and Devonte Green unavailable and De’Ron Davis limited with Achilles soreness. After logging 36 minutes earlier in the week against UT Arlington, Juwan Morgan went the full 40 minutes against UC Davis. Morgan finished with 31 points (three short of his career-high) in the IU win and also added 10 rebounds for his third double-double of the season. Through six games, Morgan is averaging 17.5 points, 8.8 rebounds, 2.5 assists and 1.3 blocks per game. He’s also shooting 60 percent on 3s on 15 attempts. 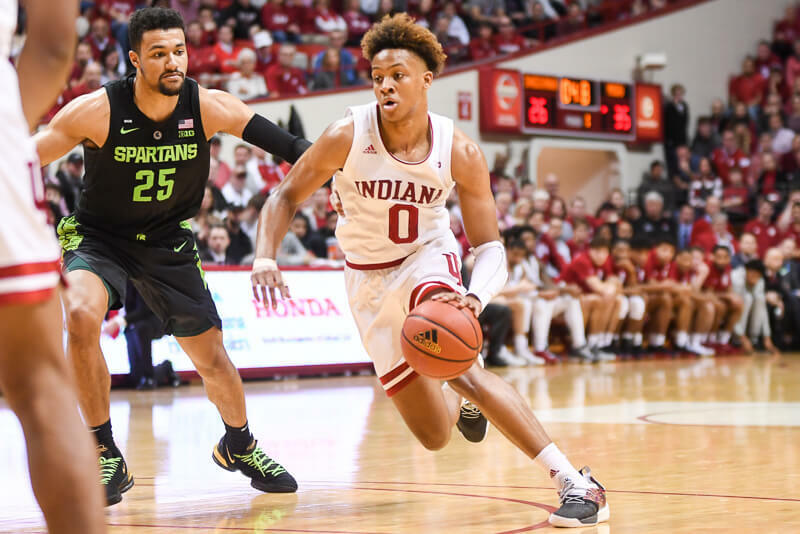 • Freshmen continue to log major minutes: When the meat of the Big Ten schedule rolls around, freshmen guards Romeo Langford and Robert Phinisee should be battle tested. Langford is averaging a team-high 32.7 minutes per game and Phinisee is second on the roster at 28.2 minutes per game. And the experience is coming in hard fought situations that should pay dividends when the competition level takes a step up. “This is like light a fire and just throw them in the fire,” Miller said. “They are having to figure out how to get a stop late in the game, how to get a big bucket and they have never been there before. Sometimes you get down at home, it doesn’t feel fun. Most of the time, they have been expected to be up big. • McRoberts and Green appear close to returning: Indiana’s depth should get a significant boost in the near future. Both Zach McRoberts and Devonte Green dressed for Friday night’s win and warmed up, but did not play. Given the minutes that Indiana is currently asking its backcourt players like Langford, Phinisee and Al Durham Jr. to play, the addition of McRoberts and Green to the rotation should be helpful as the schedule toughens up over the next five games. 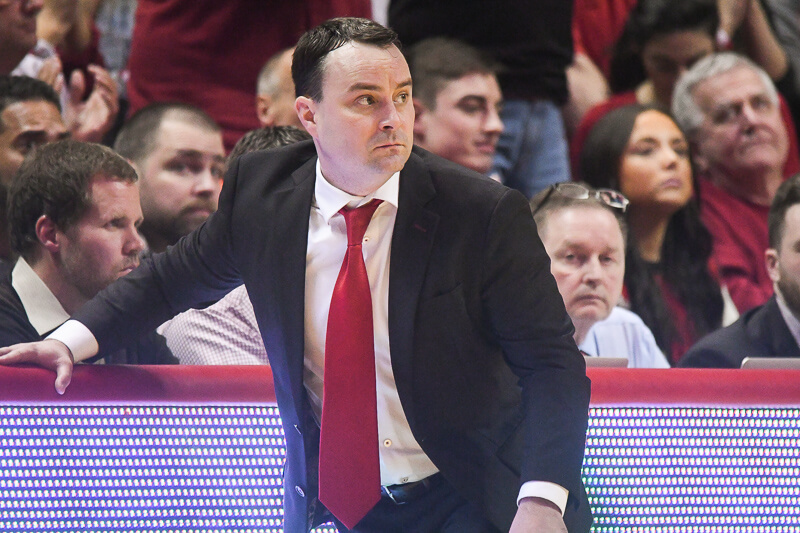 • Free throw shooting continues to lag behind the national average: Indiana was a poor free throw shooting team last season and through six games, the Hoosiers are below average nationally. Indiana currently sits at 64.2 percent from the line this season after posting a 65.7 percent mark last season. 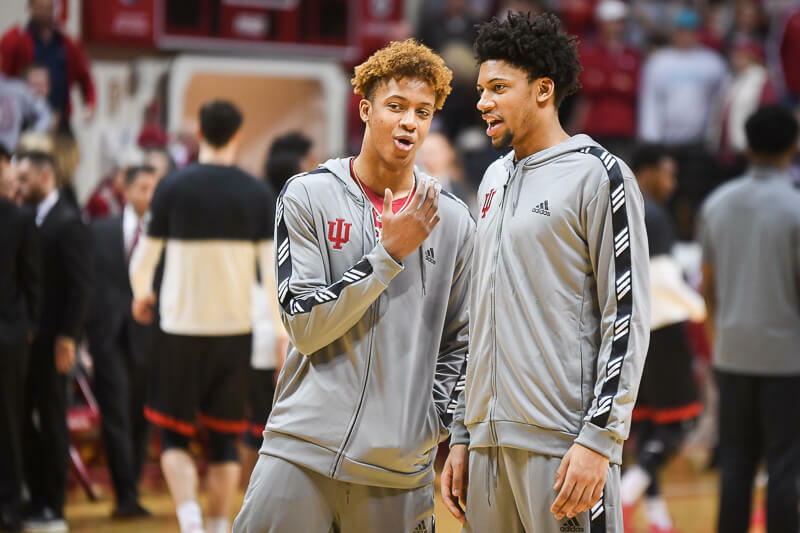 Friday’s performance against UC Davis (14-of-21) was another subpar performance from the line, but if the Hoosiers want the numbers to turn around, they’ll need Morgan and Langford to lead the turnaround. Through six games, Langford is shooting just 65.9 percent from the line and Morgan is hitting just 47.6 percent of his attempts.